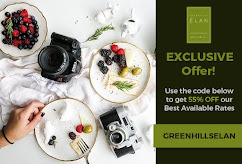 Do you happen to know that a Moroccan cuisine happens to exist in the downtown Taguig? Actually it has been for the past seven years. Though they claim to be not purist in terms of authenticity of their cuisine, they desire to evoke a take on Moroccan with Filipino-style dining. Since Moroccan cuisine is diverse, like our own Filipino cuisine, it's high time that local diners try out a more sensual kind of delectable. Fez has been a witness to the fast-paced development of Bonifacio Global City. Seven years ago, Fort Bonifacio was just a destination curiosity among the hip and young Manila crowd. Only Market-Market Mall dominated the landscape although peeking through boarded up malls, Ayala Properties was building the vision for what is today’s Bonifacio high street. 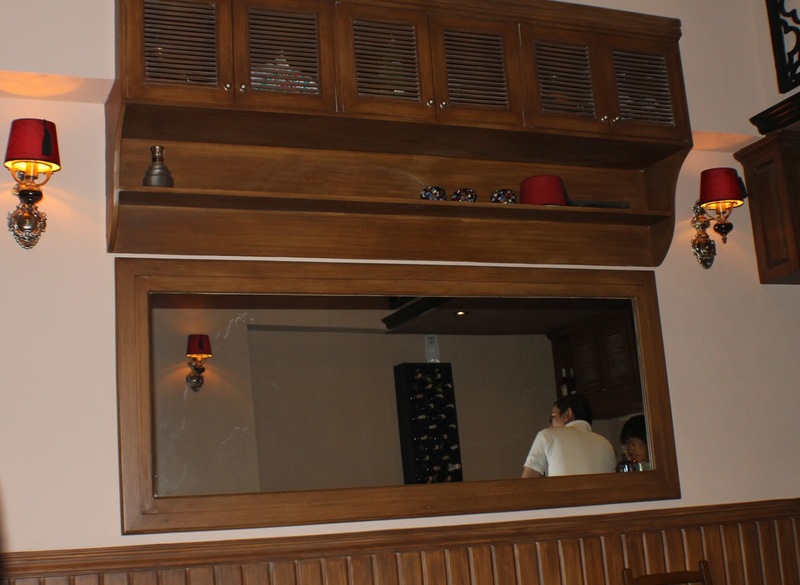 Fez Restobar has been a witness in the ever booming site of Serendra, Bonifacio Hidh Streets, etc. The restobar used to be the hang-out of the owner's friends and night-dwellers who partake of their wines, beer and spirits, well of course with the grubs that were on their menu. 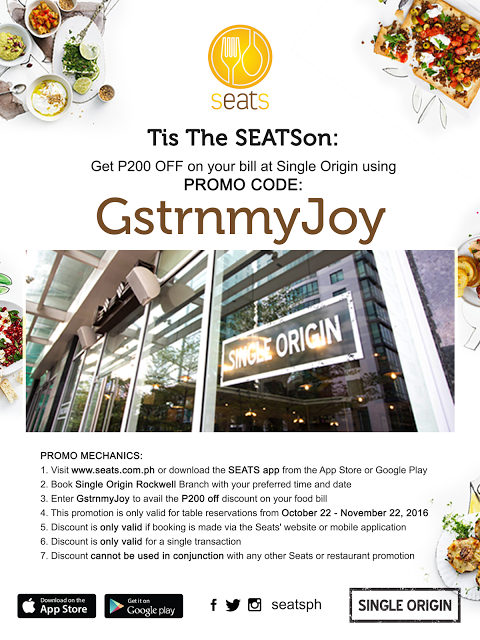 Catering to their regular customers has been their mission but this time they have recognized the need to offer more aside from the concoctions. Though it is a known fact that Moroccan's wine consumption is evident, that it's hard to remove it in a Moroccan dining fare. Thus Fez, has been quite known with it. But before I give you what I best like about them let me give you some trivia first. 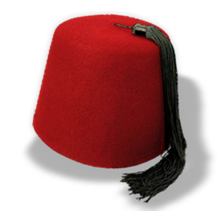 Fez is actually a hat also known as "tarboosh" in Morocco, which is part of their traditional Muslim wear. Remember the Disney movie, Aladdin? Both Aladdin and his pet monkey Abu wear one. The brimless hat did not get in the way of a Muslim's daily prayers and was cleaner and less cumbersome than the turban. The name fez is believed to come from Fez, the third largest city in Morocco, which once produced the hat's red dye, made from crimson berries. Now serving lunch and dinner, the food fair ranges from salads to steaks. Price ranges are considered affordable with favorite dishes. 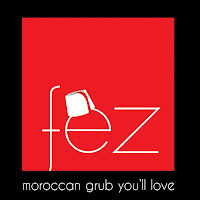 After dinner, Fez transforms itself into your neighborhood bar with cold beer and strong drinks. A signature drink is called the Flying Tiger which is a combination of 13 liquors (a trade secret) till this day. On my visit, I was able to try out some from their new menu. For Starters, we had Pita Platter. It's a bragging platter filled with freshly-cooked pita breads with four kinds of home-made dips such as Hummus, Baba ganoush, Garlic yogurt and Tomato sauce (lined accordingly in the photo from left to right). Just when we were having fun trying out every dip, the soup samplers came and on shot glasses are a doze of Roasted Pumpkin soup and a doze of Harira. Here's the interesting part, just so to push the Morroccan flare, the soup are not the typical bowl of vegetable soups or . A rich roasted pumpkin soup is lightly spiced with Ras El Hanout, a traditional Arabic spice, which translates to, "top of the shop." For Moroccans, it is a complex blend of best spices, like cardamom, nutmeg, anise, mace, cinnamon, ginger, various peppers, saffron, turmeric and more...well others claim it consists of 30 spices. Both samples are pureed vegetables spiced up. Now the Harira, a tomato-based soup with loads of roasted bell-peppers with cooked kidney-beans, all were also pureed in a mix. To be honest, I wasn't bale to to judge which one is better, for I voted YES to both. They may seem to resemble a hot baby food sans the glorious blend of spices, so they are truly that comforting and lusty at the same time, specially having it with more crisp on the outside and a bit chewy on the inside, pita breads. Now for the meat-eaters, don't be misled, though this may sound Arabic (which may require Halal food), they too serve meat dishes. Some of which are not just good with beers or drinks, they are just as good for a real dinner. One that I would recommend is the Merquez Sausage. It's like our native Longanisa, though it's authentic Morrocan, which is made of lamb or pork or a mix of both, loads of herbs and the Moroccan spice, harissa. Dried red chili peppers are ground to a paste with garlic and spices, lemon juice or olive oil is used to moisten the mix. That is the secret revealed when making this sausages. 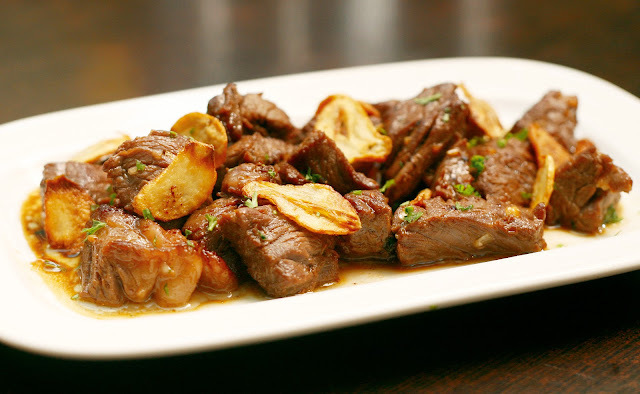 An order of this, is served with caramelized onions in anato oil. Another yummy choice, also good for light meals or snacks, are the Beef Wanton Cups. Sauteed spiced ground beef are laid on crispy wanton cups, topped with salsa, and hefty amount of cheese. Very original and extremely satisfying. It's like eating fried siomai with salsa and melted cheese served in a fancy manner. Morrocan dining would not be complete without couscous. If the Orients have rice, Mediterranean have couscous. Couscous is a coarsely ground pasta made from semolina, a type of wheat. To put it easily, it's a pasta made to resemble rice or small grains. Typically bland, it is mixed with other ingredients after being steamed, like with Fez, the couscous are dished up with tomatoes some greens, cucumbers, olives and feta cheese drizzled with lemon vinaigrette. Served on a bed of fresh romaine lettuce making it to a Couscous Salad. Another big deal in Moroccan cuisine is their kebob (may also be kebab, kabab, which are grilled meat on sticks). 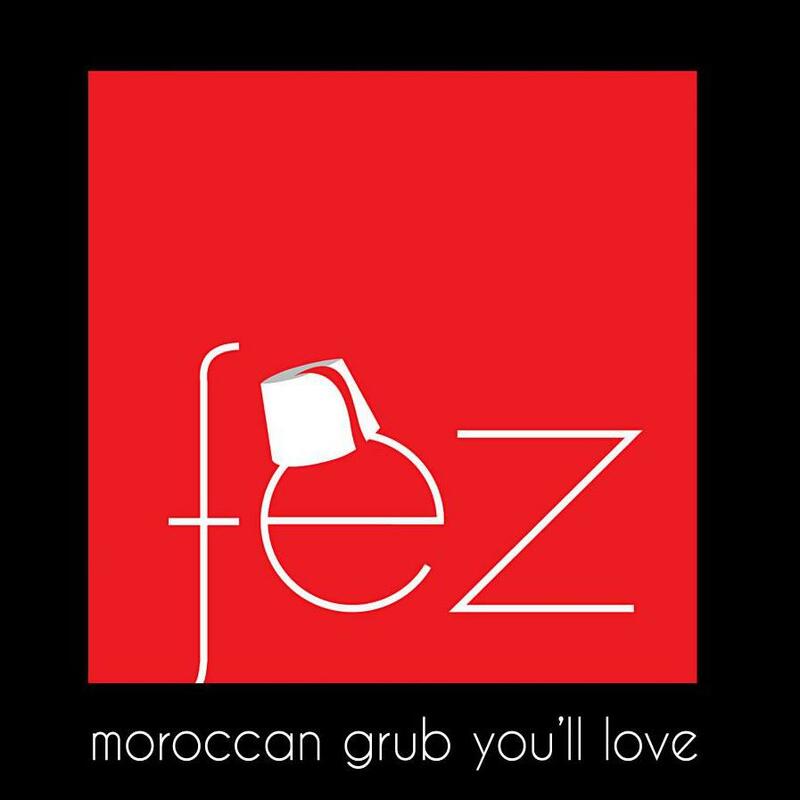 Fez serves it in chicken, beef or both over a cupful of couscous and grilled veggies. You might find the inside of the chicken a bit bland, since they do a dry-rub process on their meat so go ahead and dump it in substantially in the savory garlic dip, which you will find to give the real kick in the dish. Another entree that I've been dreaming of since I tried it was the Ribeye Steak. USDA Angus Beef grilled to your preference of doneness. Mine was medium done. With it are sauteed marble potatoes and baby asparagus. If you know what a good Angus Steak is supposed to be, not surprisingly, the rib steak and the rib eye are suggested by many to be best.. Very well marbled and flavorful, the rib section is about the tastiest of all the steaks, and is tender and succulent enough for a quick treatment on the grill. Just look at how juicy it got on the grill! Then the best part came, can you guess? 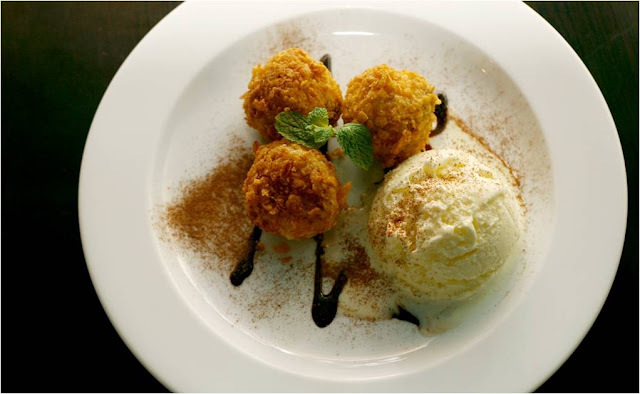 Those odd looking balls are cheesecakes formed into balls and rolled in crushed cereals, then fried. Yes it was fried till the cereal covering has been toasted enough. These place is really amazing. May I also add or if I have already mentioned above that the menu had undergone a face-lift. Many things have been added to cater more to different emographics giving the diners more options to try to. And may I say also that I commend their chef on this, you are just amazing Chef Vincent Lapid. Behind that good-looks you have is one amazing talent. 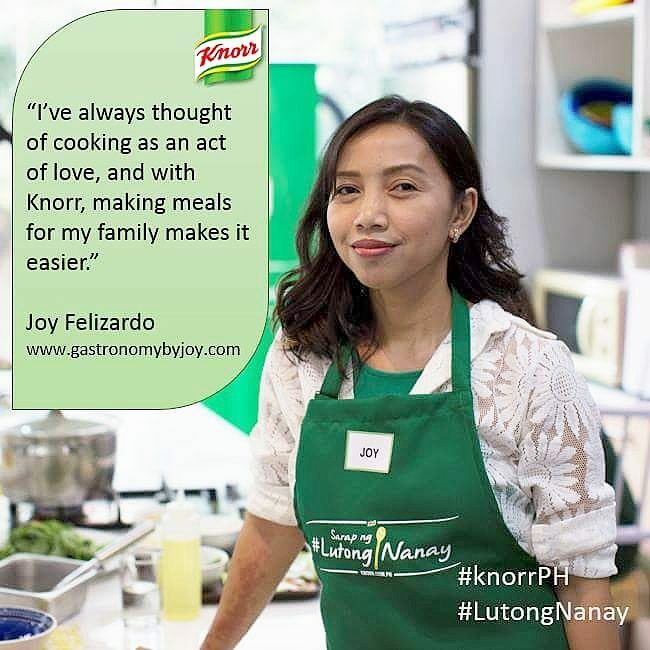 Chef Vincent by the way hailed from the family of the famous Lapid who now owns the biggest and mbest -known chicharon-maker. I wasn't able to try their cocktails though but having all those is satisfying enough. But I would definitely go back to try some best-selling drinks and perhaps get to try some other on the menu. Such as Grilled Pork Loin Chops and Tender Beef Bites. back to your weblog for more soon. information you will have right here on this post. for the great information you will have right here on this post. I might be coming back to your blog for extra soon. nice information you will have right here on this post. I might be coming again to your weblog for extra soon. audience to get a satisfactory result from the campaign. The companies are outsourcing this job to small businesses that hire a network of home-based online workers who deliver theae transcripts in quick time. as well as with the layout on your blog. Is this a paid theme or did you customize it yourself? review into a large packing. 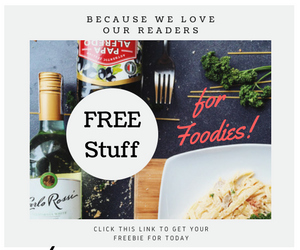 Love this food blog. Keep up the good work! This looks delicious and I plan to try it out as soon as possible. ah this is making me hungry! Thanks for your efforts. Look forward to more. mmm this makes we very hungry! I love that kind of food. Click here or here. Meat and fish can be grilled, stewed, or cooked in an earthenware tagine (the name for both the pot and the dish). Savory foods are enhanced with fruits, dried and fresh -- apricots, dates, figs, and raisins, to name a few. Really I enjoy your site with effective and useful information. It is included very nice post with a lot of our resources.thanks for share. i enjoy this post. Read our Steroid Alternatives reviews to discover the best legal steroids on the market. What Happened to the Last 17 Years of our Lives? Have you Tried Tropicana's Coco Quench?